Your Instructor will be calling or emailing you to confirm your enrollment prior to your class date. We understand life happens and you may need to cancel your reservation. Students may do so up to 24 hours before the start of their class. To cancel, please contact your Instructor directly. Your Instructor’s contact information is included in your confirmation letter. 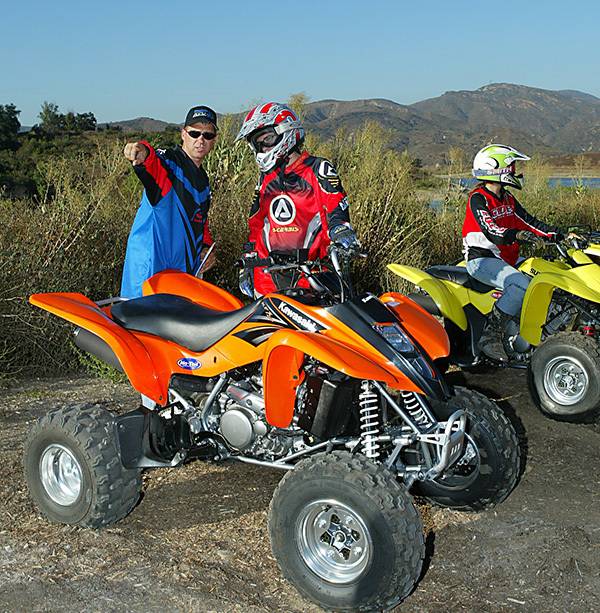 As consideration for the time and effort our Instructors spend to set up the range for class, ASI will retain 50% of the total ATV training tuition for each student who does not show up for their reservation. Given the outdoor nature of the ATV RiderCourse, classes may be cancelled due to weather or other unforeseen circumstances. In cases such as these, ASI will work to enroll you in another class at a later date.